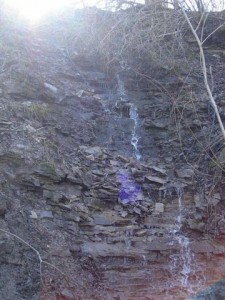 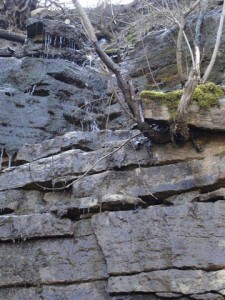 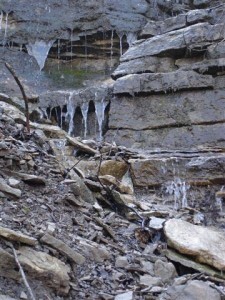 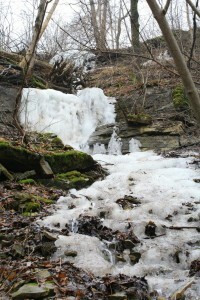 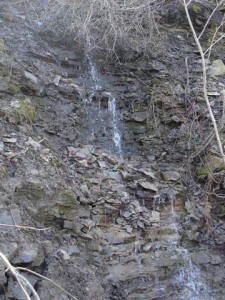 Promontory Falls is a Horsetail Ribbon Falls and Cascade. Its height is 18 metres (59 feet) which includes a 3 metre vertical drop section and 15 metres of cascades. Its width is 1 metre (3 feet). 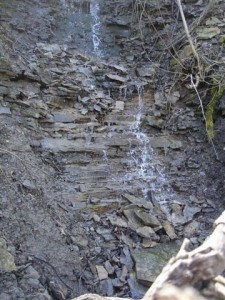 It experiences stronger flow during peak storm events and after the winter snow melt. 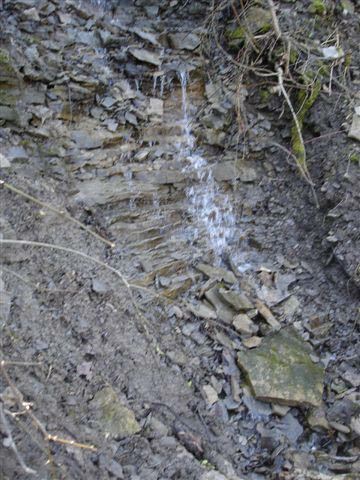 Promontory Falls was “discovered” by David Wootton in 2007. 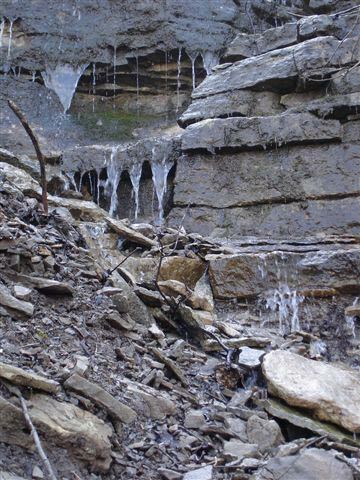 Promontory Falls is located on the south side of the Bruce Trail between Pond Falls and Grand Cascade, about a 20 minute walk from Fifty Road along the Bruce Trail.